Hello and welcome to my April Challenge! I decided to change it up a bit this month so your challenge this month will be to create a LAYOUT by using the (3) items in any row (vertical, horizontal, or diagonal) from the game board below. You can add whatever else you desire to your layout as long as you include all (3) items on the row that you select. 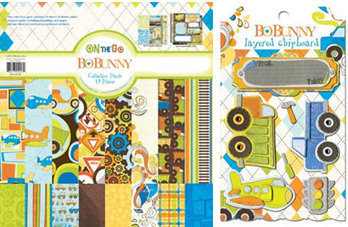 Your layout must be new as of April 1, 2012 and can be combined with any other challenges. You must leave a comment after linking your entry, letting me know what row you used to complete your layout. International and US entries eligible for the prize drawing! Leave a comment below with the URL from you PS entry. HOW ABOUT ONE MORE CHANCE TO WIN!!!! I entered my LO I and chose to use the Mixed Alphas, Doily and the 3 or more buttons row. This made for a fun Sunday afternoon project. Thanks. Thanks for playing along Sharon! Great job on your layout and awesome photo! Love the tic-tac-toe challenge and those pretty goodies. Am in. Looking forward to seeing your layout Rachelle! Glad you like the prizes! Hope you get a chance to join in and play with us this month. I would love to see what you come up with! Thanks for stopping by! Looks like fun! Great prizes! Hope you get a chance to play along this month Kelly! great challenge and OMG ------- GREAT PRIZES!!!! Love your challenges, Brenda! 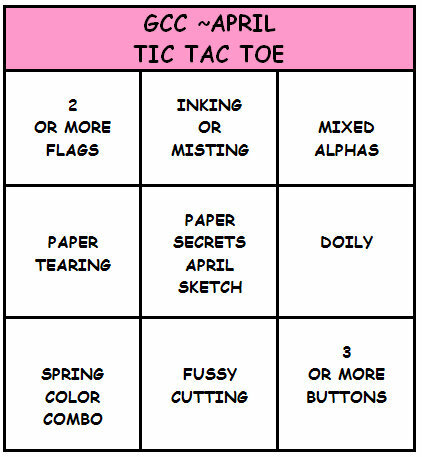 I linked up my entry using both the tic tac toe board and Rochelle's sketch. Thanks for playing in both challenges Lisa! Great layout! Finally got it done. Based on Robin Shakar's blog design. Tried to change it a bit. 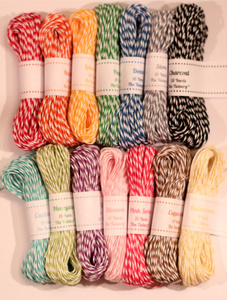 spring color combo, fussy cutting, and 3 buttons. Thanks for participating, however the link to your layout is not working. Have placed the correct link for my layout. Got it Rachelle! Beautiful job with this challenge! 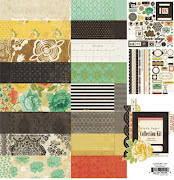 I entered my Paper Secrets Layout for the bonus. I got it! Way to go! Thanks again Rachelle for participating in this month's challenges! YOU ROCK! Great challenges this month. Love the tic tac toe challenge. I did the middle row across. Paper tearing, PS April sketch and a doily (crochet doily). Here's the link from Paper Secrets and I have also linked it on Rochelle's blog. Looks great Sandi and thanks for playing along with both challenges this month!!!! Fun!!! I made my Tic Tac Toe by using the row across the bottom! Thanks for the fun! Hi Wendy! Thanks for playing along this month and love your take on the challenge! Thanks Kelly for playing along! Fantastic job on the sketch and with the Tic Tac Toe Challenge! Hi Brenda,I used the diagonal row starting down the third row up to the first.Using spring colors ,paper sercets sketch and the mixed alpha! Fun challenge. Hi Mo! So glad to happy you played along this month! 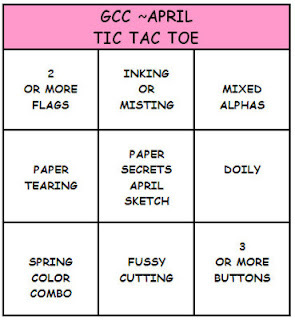 What a fun and colorful page and fantastic take on the sketch and tic tac toe challenge! Great layout Kerys as always! Thanks for playing! I actually used 2 rows...horizontal (spring colors, sketch, mixed alphas) as well as as far right down (mixed alphas, doily and 3 or more buttons). Thanks for a fun challenge and for a chance to win! Hi Sally glad you stopped by and joined on on the challenge! Love your page! I used the bottom row on my layout - spring colors, fussy cutting and 3 buttons. Hi Brenda....what a wonderful layout! Thanks for participating! Thanks for a chance to win! Fun challenge. Great take on the challenge and sketch Janelle! Thanks for participating! Nicole I love your layout! It is absolutely adorable! Thanks for participating in the my challenge! GCC March Sketch and BONUS Challenge WINNERS!! !